My sister really has fun with her nails and in many ways, she is far more outgoing and brave with her colour choices than I am. 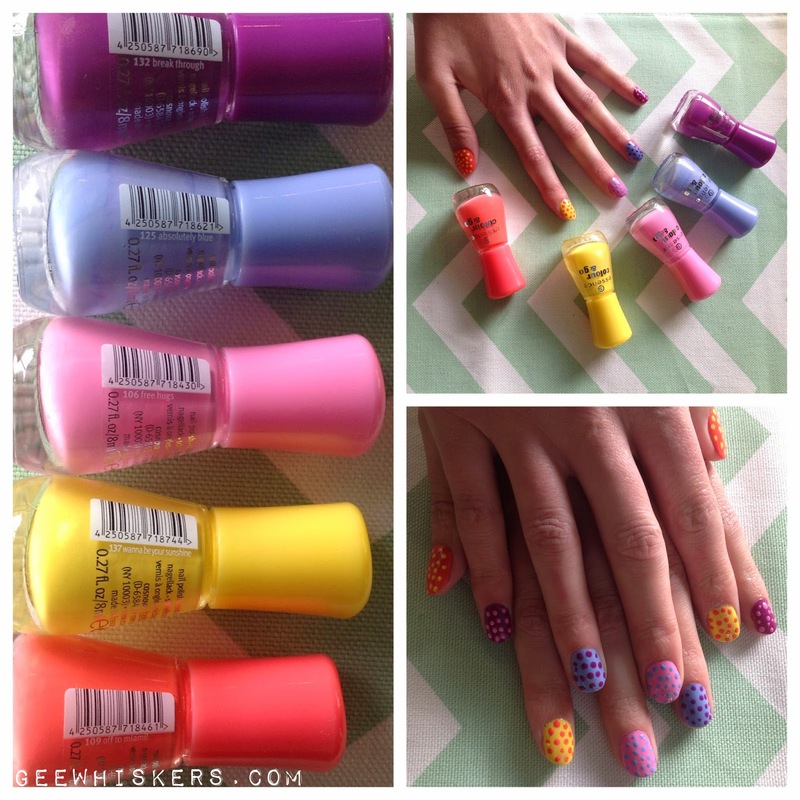 A while back she used 5 different Essence colours to create bright and colourful nails. Essence is always a brand we tend to go look at in stores because it is so affordable and great quality.